When you become a volunteer FF/EMT you begin to receive State, County & Town benefits. Listed below are just some of those benefits. Tax Credits: Members that are home owners can receive a 10% property tax discount. If you’re not a home owner you can still receive a State income tax credit. County Recreation Discounts: Both current and retired members are eligible for discounts at Nassau County Parks, Beaches & Golf Courses. Nassau County College Tuition Assistance: Available for full time and part time students entering Nassau Community College. Volunteers under the scholarship program will be eligible to have tuition paid while maintaining their membership as an active member. Click here for more information regarding this benefit. 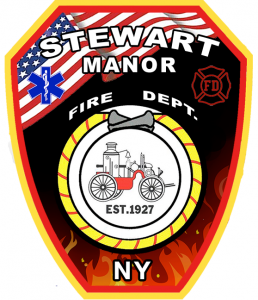 Stewart Manor Pool Membership Discount: Active members of our department receive a discount on their pool membership cost.